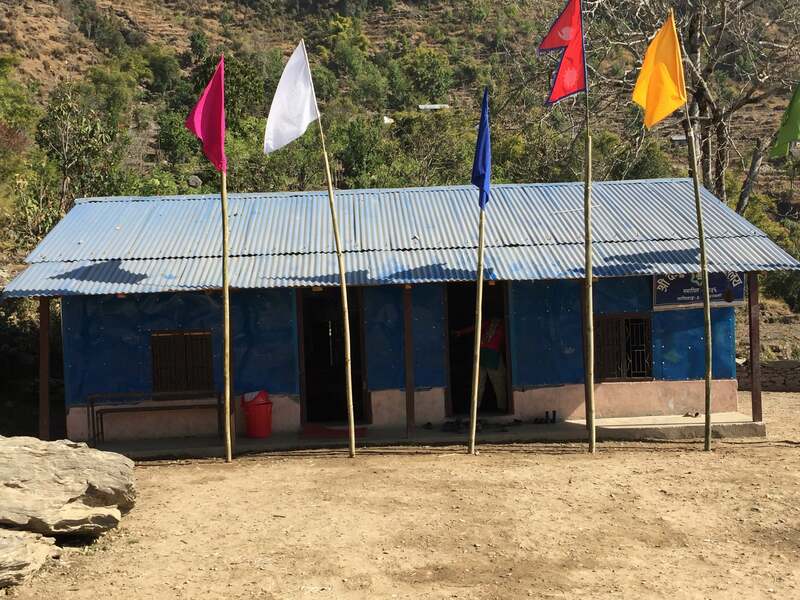 The 7.8-magnitude earthquake that struck Nepal on April 25, 2015 and subsequent 7.2-magnitude “aftershock” on May 12th destroyed or badly damaged every building in Educate the Children’s project area, which is comprised of three Village Development Committees (total population about 12,000) in rural Dolakha District. The initial post-quake outpouring of support was incredibly useful and heartening. But as anyone who has worked with disaster victims knows, it takes a very long time to even get close to being back to normal. Back to normal does not occur until long after media coverage and public attention has moved on to other topics. Since the earthquake struck, there hasn’t been enough money or labor available to rebuild the schools; most students in affected regions are still learning in what were meant to be temporary classrooms. In late 2015 and early 2016, ETC designed and constructed two-classroom buildings at some of the 29 schools with which we had already been working before the earthquakes. This building model is relatively inexpensive, costing less than $7,000 per two-room building, including furniture and supplies. It is also safer and more quake-resistant than the temporary buildings, and certainly more so than the buildings that collapsed. This is due both to the added structural support and to the use of relatively lightweight materials (i.e., not rock/stone/cement) for the upper parts of the walls. There are also some unique features about the design. For example, the top portions of the masonry lower halves of the walls serve as shelves for backpacks and supply bins, and white boards are installed around the masonry portions of the walls at young children’s level. The kids love practicing their writing and drawing! Village residents support this work by providing and transporting some of the materials – such as stone for the foundation – and by volunteering their time for construction labor. This helps keep costs down and builds community engagement and investment in the project. 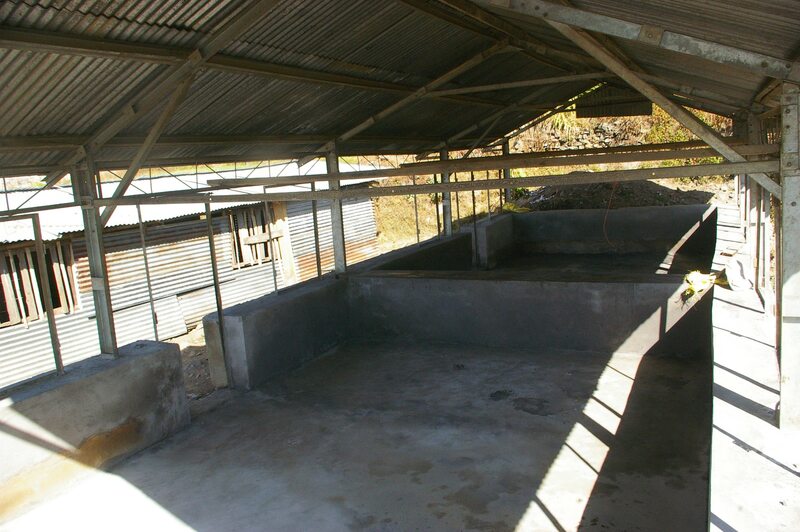 The Dolakha District Education Office is very enthusiastic about this construction model, which is suitable for replication elsewhere. Children, parents, and teachers alike are also delighted with their new facilities, which are better than what they had before the quakes. Children report feeling safer, and the new classrooms are far more weatherproof than the temporary classrooms were. ETC is determined to build as many of these new classrooms as we can. Six are currently under construction and should be ready for use later this spring. Meanwhile, we are also carrying on with our usual education-related work of training teachers, providing classroom supplies and materials, offering scholarship support, and improving existing facilities wherever that is possible. Nepal’s children deserve the safest and most enriching learning environment we can give them, and we at ETC are very grateful to all those who have made our extra-challenging work possible since the earthquakes. Lisa Lyons is the U.S. Director of Educate the Children. Educate the Children’s mission is to work with women and children in Nepal to improve health, welfare, and self-sufficiency by building skills that families can pass down to later generations. Through our children’s education, women’s empowerment, and sustainable agriculture programs, we provide training and resources to help thousands of marginalized and impoverished people make better lives for themselves. For more information about ETC’s work both pre- and post-quakes, please click here to visit our YouTube channel.